Our little Padme has gorgeous color to her face and nice white outlining to her eyes! Very beautiful color all over her really! Can’t wait to watch this little girl grow and develop. 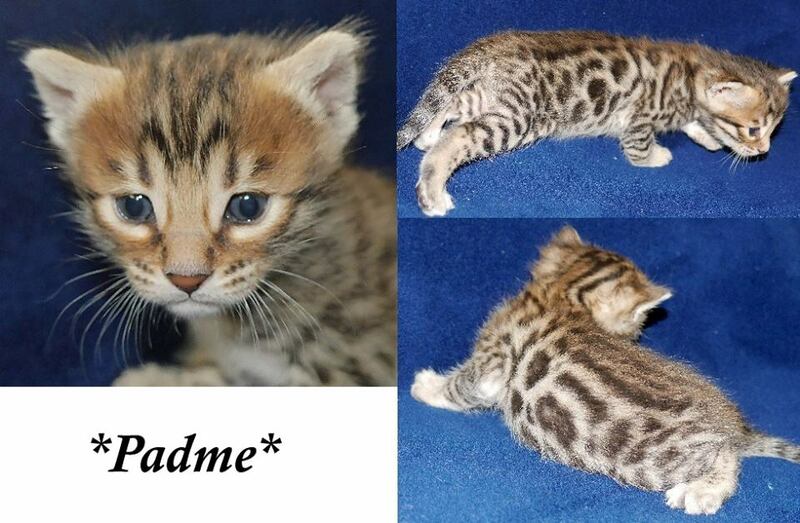 As part of our Star Wars name themed kitten litter, this little girl gets her name from Padme Amidala! 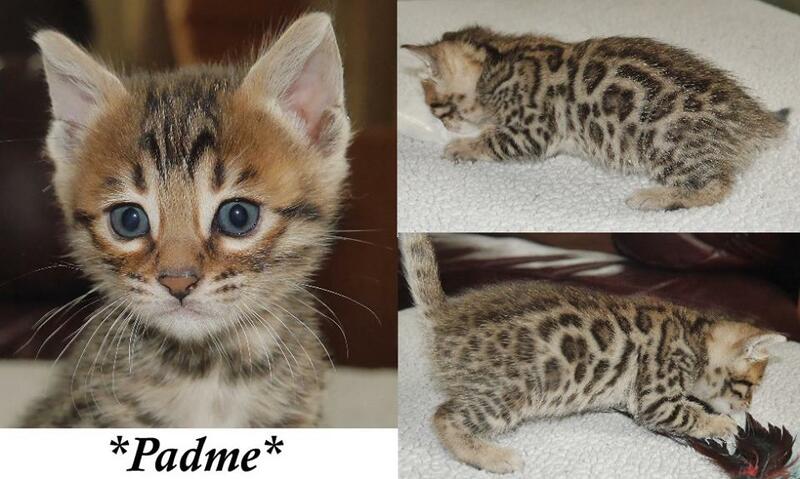 This entry was posted in Bengal Kitten Gallery and tagged Bengal kitten, Brown, Padme, Star Wars. Bookmark the permalink.